(Almost) The 12 Days of Christmas! This post introduces our upcoming seasonal devotional, which will be published here throughout the Christmas season. – Ed. I had to drive to Dallas one day for a meeting. I wasn’t looking forward to it because I knew that the business could have been handled over the phone and driving round trip from Austin to Dallas makes for an especially long day. NPR just seemed to drone on. I wished that a station was playing Christmas carols, but I couldn’t find one. So I turned off the radio and started singing them myself. I got stuck on The 12 Days of Christmas. Before I knew it, I was making up my own version of the song. Some, knowing my total lack of musical ability, might call that a miracle. At the very least, it turned into a lovely blessing for me. I shared this revised version of The 12 Days of Christmas with my Bible Study group the next week. Jill, one of the members, sang it for us and it was truly beautiful. Over time, I have explored scripture, songs, and prayers related to each verse. In my professional life, I help publishers create textbooks and other educational materials for students and teachers, pre-K through twelfth grade. Additionally, my husband and have two children, ages 17 and 20. We hope and try to encourage them and ourselves to grow spiritually through study, reflection, and prayer. The song I wrote on that car trip turned into a devotional designed to help adults, children, and families of all sorts explore the Christmas season. So often we act as if Christmas ends by evening of December 25. In reality, the song that we’re so familiar with reflects the twelve days of the Christmas season, starting with Christmas Day. And although Christmas is the shortest liturgical season of the year—just twelve days—it is a wonderful time for us to think about our relationship with Christ. My hope is that this song can provide a rich opportunity for a daily reflection. The daily devotionals that you’ll see during the Christmas season are organized to include a brief reflection, questions to consider, ideas for activities, songs to sing, a prayer, and ways to explore the day’s theme in a deeper or different way. I hope you will use this devotional as an opportunity for you and your family to embrace all twelve days of Christmas. The 12 Days devotional starts on Christmas Day. We look forward to sharing the season with you. Lord, open our hearts to your word and will and love for us so that we may grow closer to you. 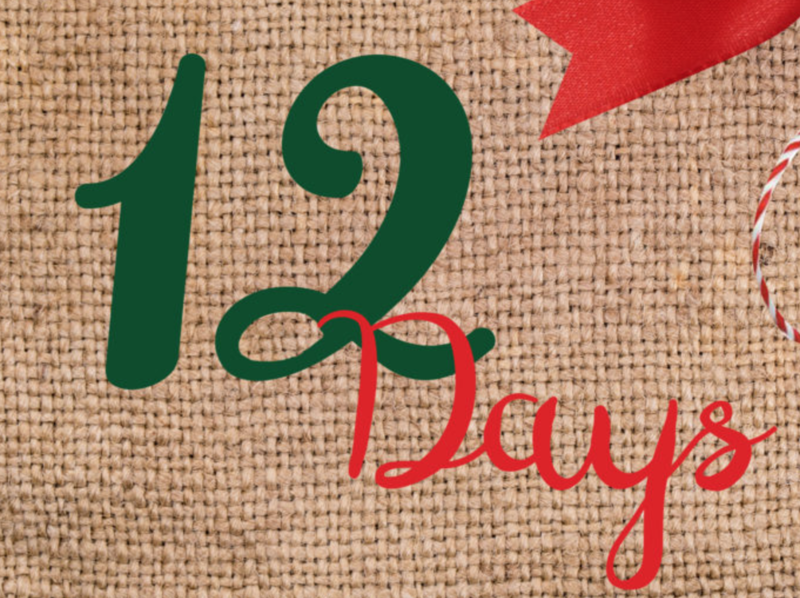 Do you have family traditions surrounding the twelve days? Would you like some? Our family celebrates the entire Christmas season by spreading out our gifts all twelve days of Christmas. It’s definitely lessened the intensity of mounds of presents on Christmas morning and ensures that every gift gets proper attention and enjoyment! Is there some way to sign up?